The aneroid barometer was invented in 1843 by French scientist Lucien Vidie, 200 years after the first barometer was invented. 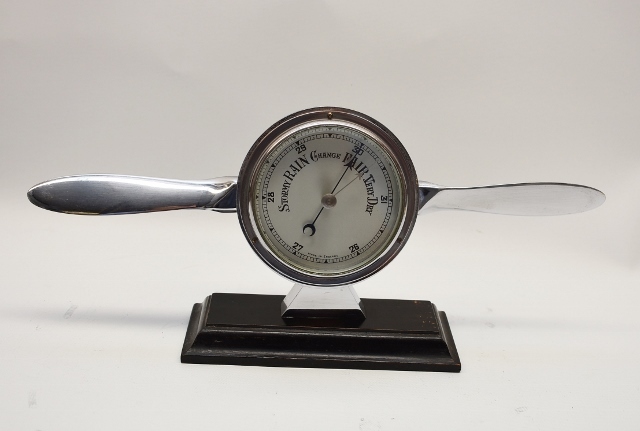 An Antique aneroid barometer does not involve liquid. Until Vidi’s ground-breaking invention, the mercury barometer was used which was heavy and could not be used for field experiments. Renowned scientists like Gottfried Wilhelm Von Leibniz and Nicolas Conte had expressed interest in aneroid technique, although none had achieved practical success. It consists of a partially evacuated metal chamber made up from an alloy of copper and beryllium. Strong springs prevent evacuated capsule from collapsing. A small variation in external air pressure causes the chamber to expand or contract. 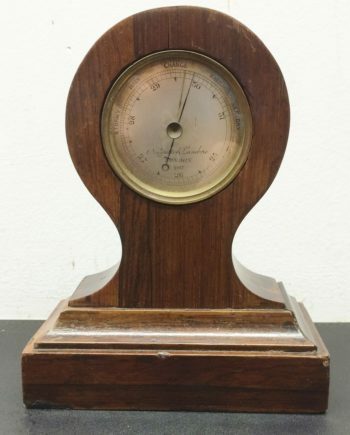 The expansion and contraction drive mechanical levers which amplify to tiny movements to quantifiable readings are realized and displayed on the face of barometer. 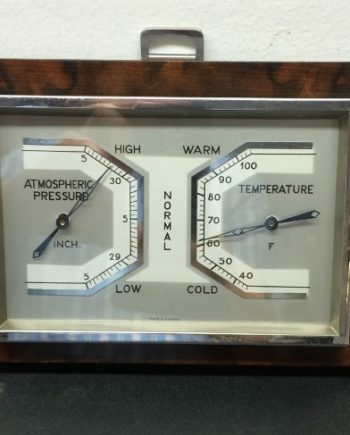 This type of barometer is smaller and more portable than a mercury barometer. 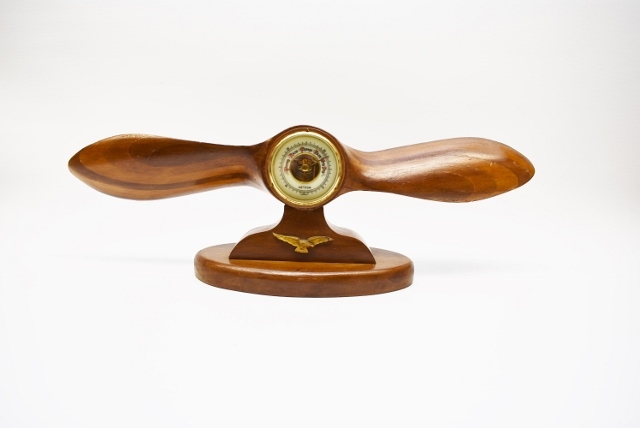 An aneroid barometer is used to predict the weather by detecting the changes in altitude. EJ Dent published ‘A Treatise On the Aneroid, A Newly Invented Portable Barometer’ which boosted sales of the instrument. 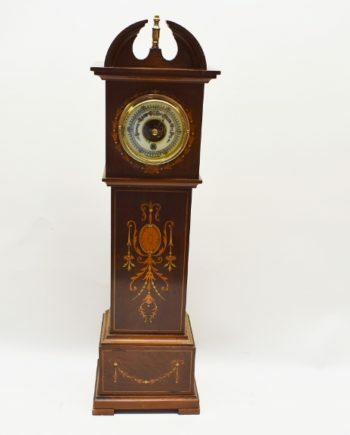 Dent, Vidi’s business partner and manufacturer of the famous Westminster clock, was among the earliest manufacturer of antique aneroid barometers. Clockmaker, Charles Frodsham also wrote a treatise on the instrument. In 1851, Vidie was involved in an ‘infringement of copyright’ case against Eugene Bourdon (his competitor) who sued him. Although he was later awarded 25000 francs in damages in 1861 the patent had already expired in 1855. By this time the patent had made its way to the British and French manufacturers who mass produced it. 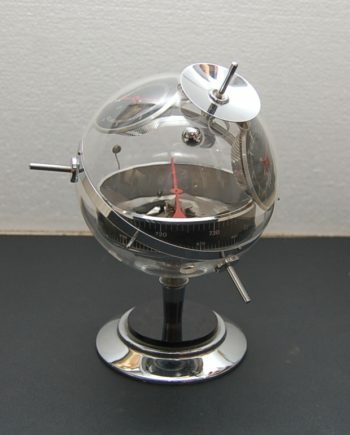 French makers of the aneroid barometer, include Dubois and Casse & Naudet. In UK, Negretti & Zambra are involved with research and developments together with Admiral Fitzroy. Vidie’s barometer is exhibited at The Science Museum. An adjustment screw being on the left lower side and with English weather markings make early examples of the barometer recognizable since later examples had the screw on the right. Furthermore, the markings were no longer limited to English. An antique barometer is usually made of brass, specifically the “clock brass’’. The movements are of jewelled bearings, synthetic rubies, and sapphire, because of their low frictional resistance. 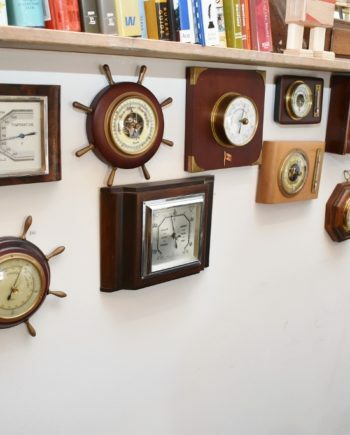 At our store in Perth, Australia we have many varieties of the aneroid barometer for sale. If we don’t have the type you are looking for, we can gladly source it for you. Outside Australia, we sell our products globally to countries such as the UK, Ireland and the USA.